My two passions are composing songs and writing stories. 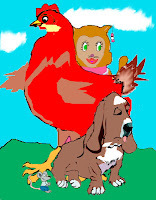 Several years ago I did a retelling of one of my favorite folktales: The Little Red Hen. Josh Katzman narrated the story and sang the song for youtube posting. His father, Bernie, who sings and plays my other songs accompanied on piano while Josh played the guitar for this sing-a-long. Josh's brother Max was the engineer who put the story on youtube. I want to welcome all of you to see the wonderful job they did, and to enjoy the story and the song. 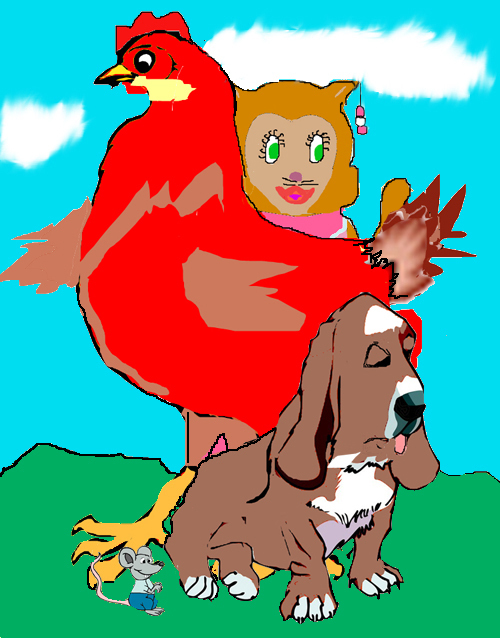 (after finishing the story, click on the link for the song on the right side, or click on the second link below.